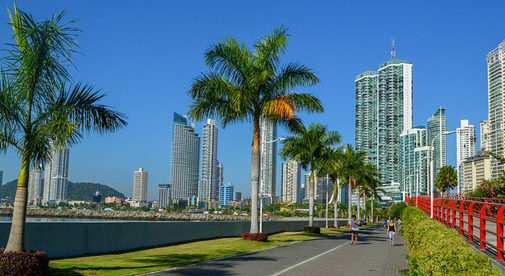 When my wife, Abbe, and I looked to retire overseas a few years ago, I found that Panama’s excellent Pensionado Visa or Retirement Program was a great way to stretch my Social Security pension. Naturally, the perks sounded like a perfect way to save some money, and they have proven to be just that—providing substantial discounts on many goods and services we regularly use. Yes, you do usually have to ask for the discounts and you must show proper identification. • 20% off prescription medications: Because my wife and I take several medications, we often use this benefit. When you ask for the discount and show the proper identification, the pharmacist will reduce the cost by 20%. This is a significant saving for us. • 30% off public transportation fares: We regularly take the large air-conditioned, coach-style bus from Las Tablas into Panama City. The routine ticket price is $9.70, but only $6.70 with our discount. • 30% to 50% off hotel stays (depending if it is a weekday or weekend): We have used this discount several times. Once, in an exotic beach resort, we stayed two nights for the price of one. • 25% off at restaurants: We have used this perk many times and have found that the discount applies only to the main meal (excluding specials), but not to the appetizer, desert, or drink portion of the check. Service providers appreciate if you tip (propina) on the amount before the discount. My experience is that the discount easily covers the entire tip. • 15% off at fast food restaurants: We use this at numerous fast food chains. • 25% off electricity, water, and phone bills: This is a huge monthly benefit as our electric bill is usually $100 per month before the discount, so the 25% is a lot of money every month. Our monthly water bill averages a low $5.68 per month and $4.26 after the discount. Still, savings enough to buy a cup of coffee or cold drink. • 25% off airplane tickets: This discount is offered for both in person and online purchases made directly from the airline, not a travel agent. Our experience has been that the 25% savings is not on the entire ticket because it does not apply to taxes and certain fees. Recently my wife purchased a $280 ticket before the discount that ended up costing $230 (a 19% savings). • 20% off lab tests: This benefit has saved us a lot of money on things like blood work, mammograms, digital X-rays, and bone density tests. • One-time exemption on the importation of household goods up to $10,000: We used this benefit when we brought a 20-foot container of household goods. It meant enormous savings for us. We regularly enjoy the perks of the Pensionado program to save significant amounts of money, including the tax money we would have paid on the pre-discount rate. We use the money for a better lifestyle, which includes more dinners out, and weekday getaways. Editor’s note: Panama’s Pensionado program is the most generous and appealing program of special benefits you’ll find anywhere in the world today. But it’s just one of the many reasons to move to this warm-weather paradise. You can find out all the details of what Panama—and any of the other 24 best countries for overseas retirement—has to offer in our 2018 Global Retirement Index. From retirement benefits to cost of living…entertainment to ease of fitting in…we break down the best places to retire across 10 essential categories so that you can compare and contrast to find the overseas destination that meets your specific needs. 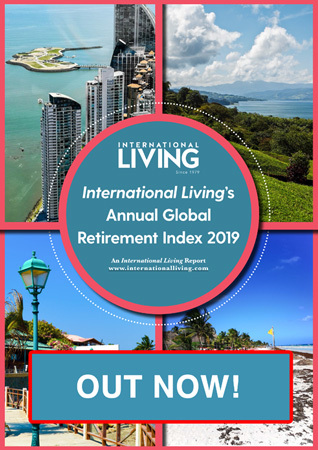 Pick up your free copy of International Living’s 2018 Global Retirement Index here.